Oh, and there’s another magical thing about Honey Quest. It turns your child’s smartphone into a wire-tapping device. 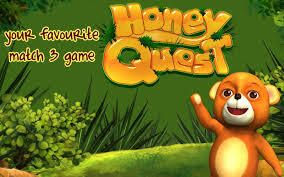 The software that allows this to happen is called Alphonso Automated Content Recognition - and it’s built right into Honey Quest and more than 250 other games available in the Google Play and Apple App stores. Alphonso allows these games to control a phone’s microphone, and then analyses the audio signals it receives to identify TV ads, shows and movies. That data can tell marketers a lot about about potential consumers, aka your children. Alphonso loves to gather and sell data the way Jumbo the Bear loves fruit - and he uses it to deliver targeted ads directly to your child’s mobile device. Because, you see, Alphonso is smarter than the average bear. He can even detect sounds when your child’s phone is in his backpack, as long as the app is running in the background. Alphonso - a contraction, one wonders, for All Phones On? - does not record human speech, its developers insist. Rather it aims to exploit an increasingly common behaviour marketers call “second-screen viewing” - basically, grabbing a mobile device during TV ad breaks. That’s when Alphonso springs into action, using “advanced fingerprinting technology to identify ads and programming airing on TV in a fraction of a second, in a completely anonymous fashion,” according to the company website. You can't get any clearer than that, right? Kids’ games represent only a fraction of the 1000+ Alphonso-enabled games, messaging and social apps, and in fact the company has gone on record that it does “not approve” of Alphonso being used in games aimed at children. Nor is Alphonso the first software on the block to listen a little too closely to consumers. 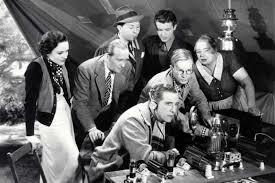 Last year, a program called “Silverpush” - which boasted similar auditory superpowers - was the subject of a Federal Trade Commission warning in the US. In February 2017, Vizio, a leading manufacturer of smart TVs, paid $US2.2 million to settle charges that it was collecting and selling viewing data from millions of televisions without owners’ knowledge or consent. As we welcome exotic virtual guests like Siri, Alexa and Cortana into our homes, the question who is assisting whom is taking on new urgency. For tips on how to prevent bullies like Alphonso from muscling their way into children’s lives, visit familyzone.com.au today. Our core business is keeping kids safe online. A powerful solution for managing family screen-time, Family Zone lets parents set effective boundaries to keep kids safe and happy online, across every device, everywhere. Use Family Zone to control access to games and apps, set bedtimes, restrict social media, block adult content, and more.